Welcome to the Future of Steppin’ Out Magazine Online – All North Jersey All the Time! The website that is interactive with our clients and their customers, and is constantly updated! At a cool north Jersey bar, restaurant or local event? Send us your photos, and we will post them here. We need your help! Do you know of a great place in north NJ that we missed? Let us know, and we may include it. Click on the pages below to view the July 5th issue. CLICK HERE for information about advertising in Steppin’ Out. Welcome to the Future of Steppin’ Out Magazine Online – All North Jersey All the Time! The website that is interactive with our clients and their customers, and is constantly updated! At a cool north Jersey bar, restaurant or local event? Send us your photos, and we will post them here. We need your help! Do you know of a great place in north NJ that we missed? Let us know, and we may include it. Click on the pages below to view the June 7th issue. CLICK HERE for information about advertising in Steppin’ Out. Welcome to the Future of Steppin’ Out Magazine Online – All North Jersey All the Time! The website that is interactive with our clients and their customers, and is constantly updated! At a cool north Jersey bar, restaurant or local event? Send us your photos, and we will post them here. We need your help! Do you know of a great place in north NJ that we missed? Let us know, and we may include it. Click on the pages below to view the May 17th issue. CLICK HERE for information about advertising in Steppin’ Out. Welcome to the Future of Steppin’ Out Magazine Online – All North Jersey All the Time! The website that is interactive with our clients and their customers, and is constantly updated! At a cool north Jersey bar, restaurant or local event? Send us your photos, and we will post them here. We need your help! Do you know of a great place in north NJ that we missed? Let us know, and we may include it. Click on the pages below to view the May 3rd issue. CLICK HERE for information about advertising in Steppin’ Out. Welcome to the Future of Steppin’ Out Magazine Online – All North Jersey All the Time! The website that is interactive with our clients and their customers, and is constantly updated! At a cool north Jersey bar, restaurant or local event? Send us your photos, and we will post them here. We need your help! Do you know of a great place in north NJ that we missed? Let us know, and we may include it. Click on the pages below to view the March 22nd issue. CLICK HERE for information about advertising in Steppin’ Out. Welcome to the Future of Steppin’ Out Magazine Online – All North Jersey All the Time! The website that is interactive with our clients and their customers, and is constantly updated! At a cool north Jersey bar, restaurant or local event? Send us your photos, and we will post them here. We need your help! Do you know of a great place in north NJ that we missed? Let us know, and we may include it. Click on the pages below to view the March 8th issue. CLICK HERE for information about advertising in Steppin’ Out. 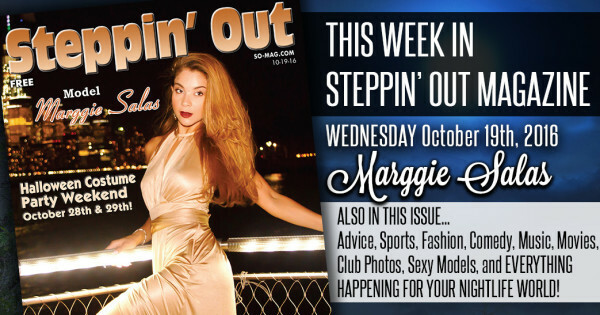 Welcome to the Future of Steppin’ Out Magazine Online – All North Jersey All the Time! The website that is interactive with our clients and their customers, and is constantly updated! At a cool north Jersey bar, restaurant or local event? Send us your photos, and we will post them here. We need your help! Do you know of a great place in north NJ that we missed? Let us know, and we may include it. Click on the pages below to view the January 25th Issue. CLICK HERE for information about advertising in Steppin’ Out. Welcome to the Future of Steppin’ Out Magazine Online – All North Jersey All the Time! The website that is interactive with our clients and their customers, and is constantly updated! At a cool north Jersey bar, restaurant or local event? Send us your photos, and we will post them here. We need your help! Do you know of a great place in north NJ that we missed? Let us know, and we may include it. Click on the pages below to view the December 28th Issue. 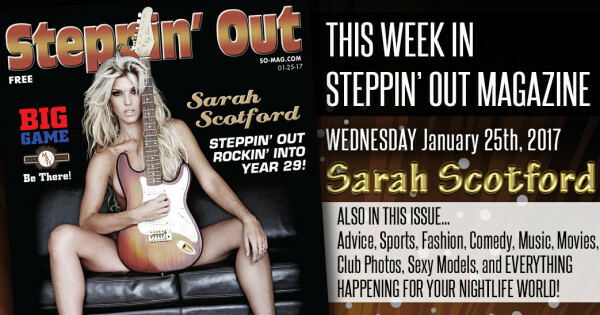 Welcome to the Future of Steppin’ Out Magazine Online – All North Jersey All the Time! The website that is interactive with our clients and their customers, and is constantly updated! At a cool north Jersey bar, restaurant or local event? Send us your photos, and we will post them here. We need your help! Do you know of a great place in north NJ that we missed? Let us know, and we may include it. Click on the pages below to view the December 14th Issue. CLICK HERE for information about advertising in Steppin’ Out. Welcome to the Future of Steppin’ Out Magazine Online – All North Jersey All the Time! The website that is interactive with our clients and their customers, and is constantly updated! At a cool north Jersey bar, restaurant or local event? Send us your photos, and we will post them here. We need your help! Do you know of a great place in north NJ that we missed? Let us know, and we may include it. Click on the pages below to view the November 30th Issue. CLICK HERE for information about advertising in Steppin’ Out. Welcome to the Future of Steppin’ Out Magazine Online – All North Jersey All the Time! The website that is interactive with our clients and their customers, and is constantly updated! At a cool north Jersey bar, restaurant or local event? Send us your photos, and we will post them here. We need your help! Do you know of a great place in north NJ that we missed? Let us know, and we may include it. Click on the pages below to view the November 16th Issue. CLICK HERE for information about advertising in Steppin’ Out. Welcome to the Future of Steppin’ Out Magazine Online – All North Jersey All the Time! The website that is interactive with our clients and their customers, and is constantly updated! At a cool north Jersey bar, restaurant or local event? Send us your photos, and we will post them here. We need your help! Do you know of a great place in north NJ that we missed? Let us know, and we may include it. Click on the pages below to view the November 2nd Issue. CLICK HERE for information about advertising in Steppin’ Out. Welcome to the Future of Steppin’ Out Magazine Online – All North Jersey All the Time! The website that is interactive with our clients and their customers, and is constantly updated! At a cool north Jersey bar, restaurant or local event? Send us your photos, and we will post them here. We need your help! Do you know of a great place in north NJ that we missed? Let us know, and we may include it. Click on the pages below to view the October 19th Issue. CLICK HERE for information about advertising in Steppin’ Out. Welcome to the Future of Steppin’ Out Magazine Online – All North Jersey All the Time! The website that is interactive with our clients and their customers, and is constantly updated! At a cool north Jersey bar, restaurant or local event? Send us your photos, and we will post them here. We need your help! Do you know of a great place in north NJ that we missed? Let us know, and we may include it. Click on the pages below to view the October 5th Issue. CLICK HERE for information about advertising in Steppin’ Out. Welcome to the Future of Steppin’ Out Magazine Online – All North Jersey All the Time! The website that is interactive with our clients and their customers, and is constantly updated! At a cool north Jersey bar, restaurant or local event? Send us your photos, and we will post them here. We need your help! Do you know of a great place in north NJ that we missed? Let us know, and we may include it. Click on the pages below to view the September 21st Issue. CLICK HERE for information about advertising in Steppin’ Out. Welcome to the Future of Steppin’ Out Magazine Online – All North Jersey All the Time! The website that is interactive with our clients and their customers, and is constantly updated! At a cool north Jersey bar, restaurant or local event? Send us your photos, and we will post them here. We need your help! Do you know of a great place in north NJ that we missed? Let us know, and we may include it. Click on the pages below to view the September 7th Issue. Welcome to the Future of Steppin’ Out Magazine Online – All North Jersey All the Time! The website that is interactive with our clients and their customers, and is constantly updated! At a cool north Jersey bar, restaurant or local event? Send us your photos, and we will post them here. We need your help! Do you know of a great place in north NJ that we missed? Let us know, and we may include it. Click on the pages below to view the January 11th Issue. CLICK HERE for information about advertising in Steppin’ Out. Welcome to the Future of Steppin’ Out Magazine Online – All North Jersey All the Time! The website that is interactive with our clients and their customers, and is constantly updated! At a cool north Jersey bar, restaurant or local event? Send us your photos, and we will post them here. We need your help! Do you know of a great place in north NJ that we missed? Let us know, and we may include it. Click on the pages below to view the July 27th Issue. CLICK HERE for information about advertising in Steppin’ Out. Welcome to the Future of Steppin’ Out Magazine Online – All North Jersey All the Time! The website that is interactive with our clients and their customers, and is constantly updated! At a cool north Jersey bar, restaurant or local event? Send us your photos, and we will post them here. We need your help! Do you know of a great place in north NJ that we missed? Let us know, and we may include it. Click on the pages below to view the June 29th Issue. CLICK HERE for information about advertising in Steppin’ Out.